Last year I was given a little clump of snowdrops that my friend, Autumn, dug up from a nearby wood. After enjoying them indoors for several days, I planted them in the small garden outside our dining room window. 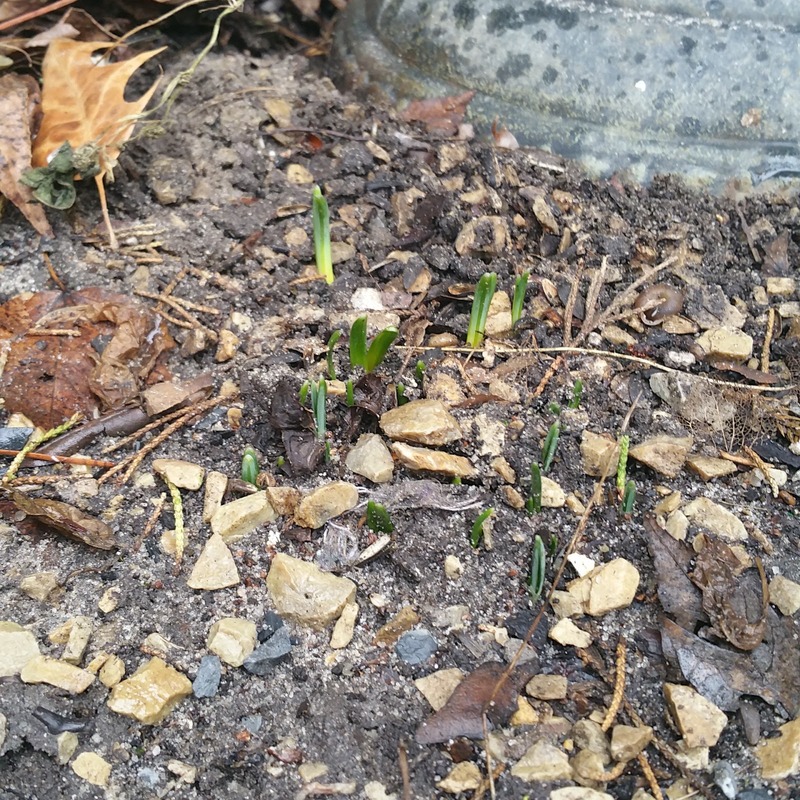 I've been checking the ground for signs that the snowdrop bulbs survived for the last few weeks and was rewarded this morning with the sight of tiny green shoots popping up! 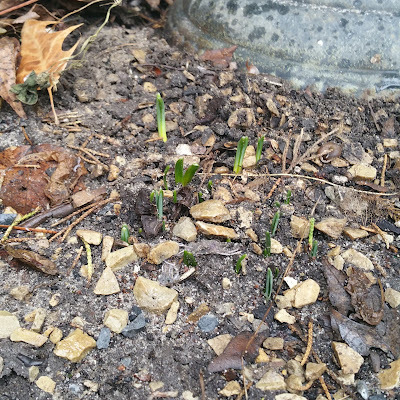 It will be a little while before they actually bloom, but I am cheered by the fact that they are on their way. Hurray for your snowdrops! They are the first sign that spring will soon be here. I had snowdrops at our last house, but I haven't planted any here yet even though we've been here three autumns. I need to fix that!